Admission to Highline College is open to any individual who is at least 18 years of age. Admission is granted to those under 18 who have completed high school, whether by diploma or equivalent. Those under the age of 18 are admitted conditionally based upon their participation in one of our High School Programs (e.g. Running Start). Citizens of other countries who wish to apply as international students (non-immigrants) have special admissions requirements. Admission is not limited to those with educational experience, previous academic achievement or any particular citizenship or status. Highline is an open-door college; all are welcome! 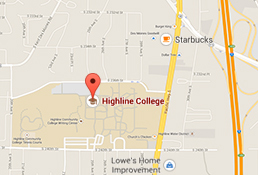 As long as you are in good standing with the college, you may return to Highline at any time. When you return, we ask that you update your contact information. If you have not been in attendance for over a year, email admissions@highline.edu to request a registration access time. Pre-College Studies, Continuing Education, and International students enter Highline using a different process than the one outlined in this section. Admission to Highline is a one-time process and you can apply at any time. You only need to apply once; you do not need to reapply if you take a break. The step-by-step guide to getting started, which includes a link to the online application, is located on the Admissions website. Please allow 5 business days for processing. Other than those listed in the Pathways into Highline section above, all students (including transfer students) apply using this process. To update your personal information, see the Update Address & Phone page on the Online Student Services website. What career choices meet your skills and abilities? What are you interested in studying? Unsure? Our Counseling Center is here to help you! We encourage you to consider your budget and resources. Review current information on the Financial Aid website. Other funding sources may include Workforce Education Services, WorkFirst, Veterans Services, and scholarships. Your myHighline account is your key to Highline. Use it to participate in classes, take myMathTest, receive school communication and pay for parking online. Most applicants who are new to college studies and intend on earning academic credits need to determine what courses they are eligible for with a placement test or high school transcripts. Placement recommendations will be used for advising and registration purposes. To learn more about placement and assessment options, go to placement.highline.edu. To prepare for a successful start, attend an orientation session. You will meet other students, faculty and staff, get hands-on experience with important online tools and resources, and meet with an academic advisor. For students who have never attended college, this is a required step in the enrollment process. Students in specialized programs including Running Start, International Student Programs, Workforce Education Services, and English as a Second Language must attend a orientation session specific to that program. For questions and to sign-up for an orientation session, email advising@highline.edu. Familiarize yourself with the Online Services webpage. You’ll find a number of resources conveniently located there, including online registration. After you register for classes, get your Student Identification Card from Registration, purchase your books from the Highline Bookstore, and apply for your parking permit. A payment plan is available. Find payment plan information, a current tuition and fees schedule and important dates and deadlines on the Registration website. Information about residency for tuition purposes is on the Admissions website. Make use of resources we offer! Peruse our website! Highline offers comprehensive support, services, opportunities and resources. And don’t forget: degrees and certificates are not awarded automatically! You need to apply for graduation. **A note on selective admissions: the Polysomnography, Registered Nursing, Respiratory Care, and BAS Programs require a program specific application process, which includes meeting specific requirements for admission into these programs. For current information about admission requirements for these and other selective admissions programs, visit the Admissions webpage.